According to USA Today, it is estimated that 222 million travelers are expected to fly from June 1 through August 31 this summer. Will you be one of those 222 million? Traveling can be done out of necessity for your business needs, or to broaden your horizons by seeing the world. Either reason can require a lot of research and planning for both a short business trip or a long family vacation. If you are lucky enough to have a virtual assistant who is well versed in making travel arrangements, then you probably find preparing for your trip to be a fun and stress-free experience. Your mind can stay focused on your business while your VA deals with the details of researching pricing, flight schedules, hotel accommodations, rental cars, daily excursions and much more. In today’s world, technology makes booking travel more accessible to everyone too. 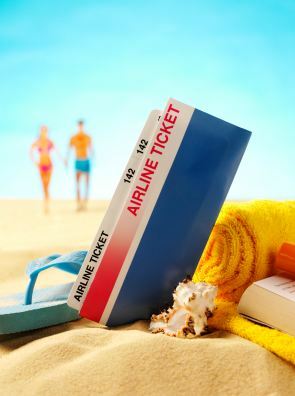 Gone are the days where you had to work with a travel agent to get your travel arrangements booked. The internet has a plethora of information on everything to do with travel, but there are also many great FREE mobile applications that can be downloaded directly to your phone or tablet that give you access to everything at the touch of an icon. A mobile travel app means information is accessible to you no matter where you are. The Travel Channel recently released their 2015 Top Mobile Apps for Travel. One of our favorites is Tripit. It would allow your VA to forward confirmation emails from airlines, hotels, bus companies and more to TripIt, and the app will instantly organize it all into a single trip itinerary that you can view on your phone (or on your computer). The service also makes it easy to share itineraries with friends, family members and co-workers. Be sure to click the Travel Channel link to see more travel related mobile apps that they recommend. Have you used any particular mobile app to help you when you travel? Tell us in the comments what your favorite travel app is and why you love using it. This entry was posted in Blog on June 22, 2015 by Assistant Match.